Natural environment is the place we seek in order to escape from everyday life stress. The nature is the place to find our own life energy, peace and our inner balance. Our world is driven by the slogans inspired by globalisation, climate change and we thus turn to nature and to the places meeting the requirements of our personal comfort. Our house is the place where we spend the majority of our life, it is the place where we live and most of us dream of having our own house. 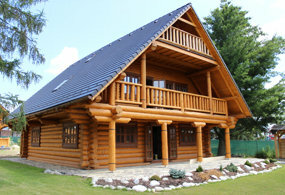 Not only does our company intend to help realize the dream by log houses production, but it also intends to bring the unique natural environment closer to our customers. 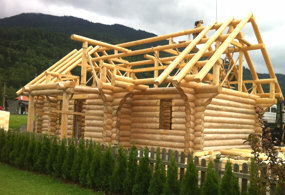 We are one of the biggest companies in Europe working in the field of round log houses design and construction. 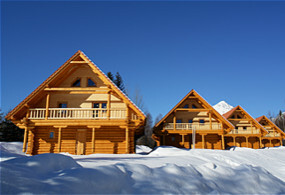 We dispose of many years of experience with timber production and processing in connection with the unique technology for the production of Canadian round log.